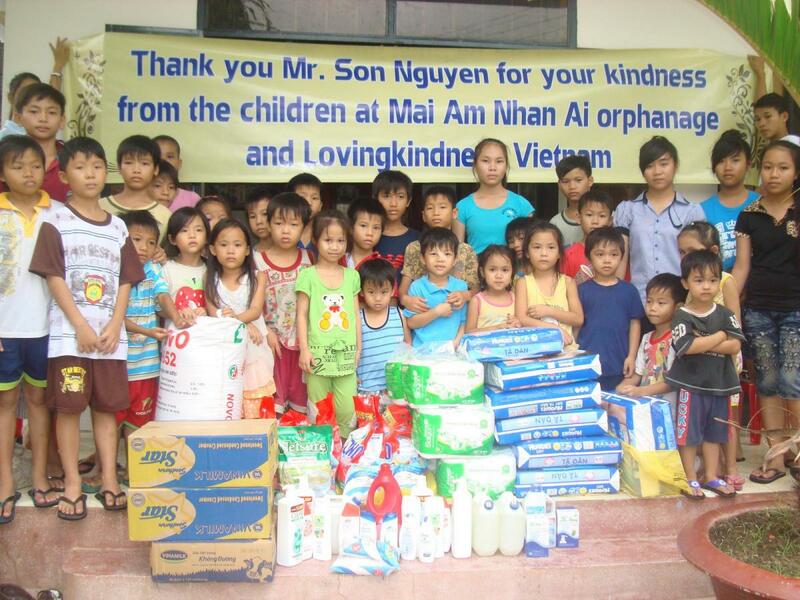 On November 20, 2013 we brought aid to the Mai Am Nhan Ai Orphanage. We received a generous donation from Mr. 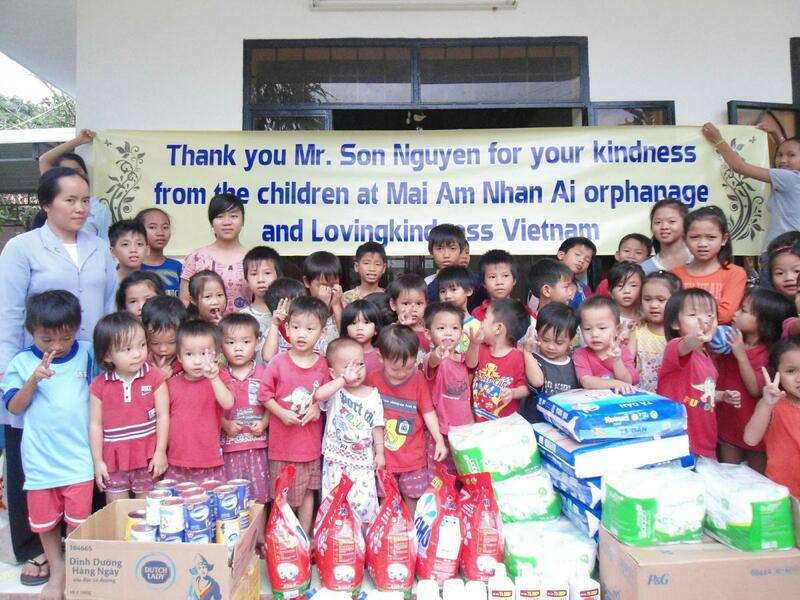 Son Nguyen of the USA who wished to help the poor orphans in Vietnam. 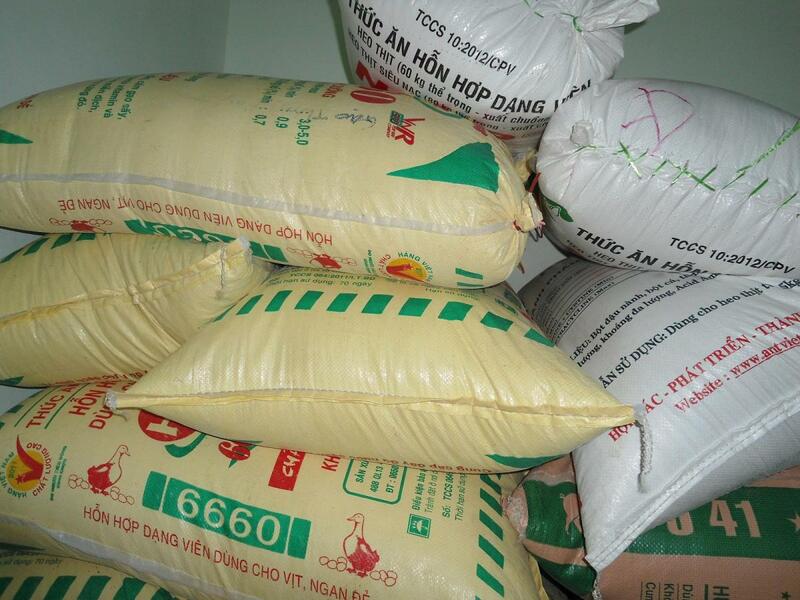 We contacted Sister Huong at Nhan Ai, and she listed their most pressing needs. 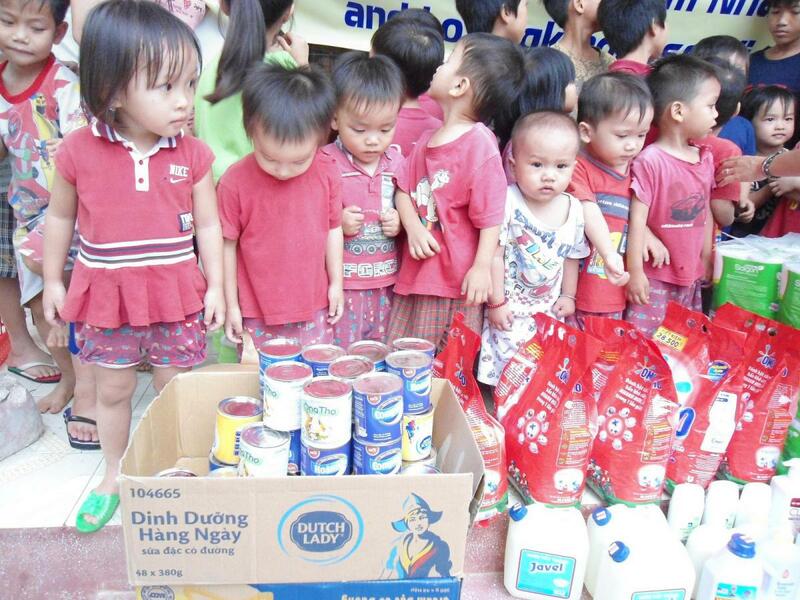 While many people bring foodstuff to the orphanages, they don’t think about all of the small necessities that an orphanage with over 100 children also require. 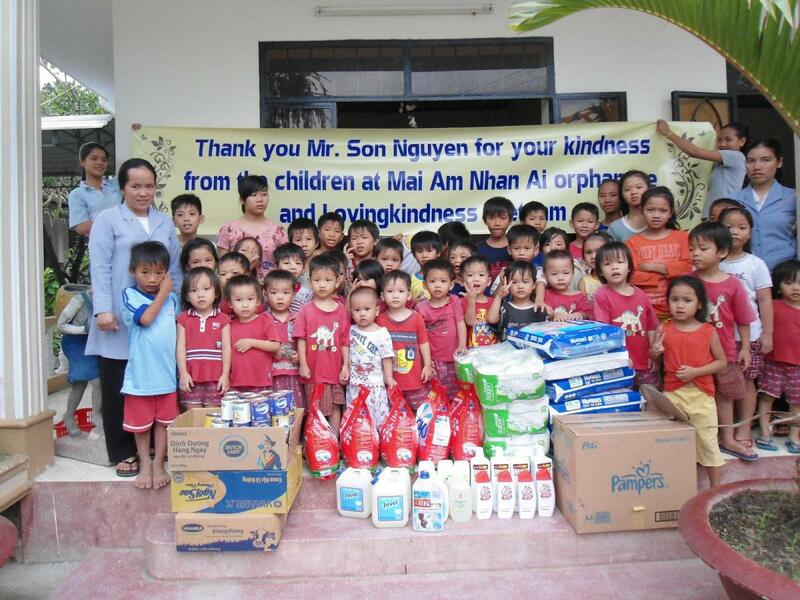 Sister Huong made a detailed shopping list, and was very happy to be able to buy diapers, laundry detergent, shampoo, floor soap, and toilet paper. 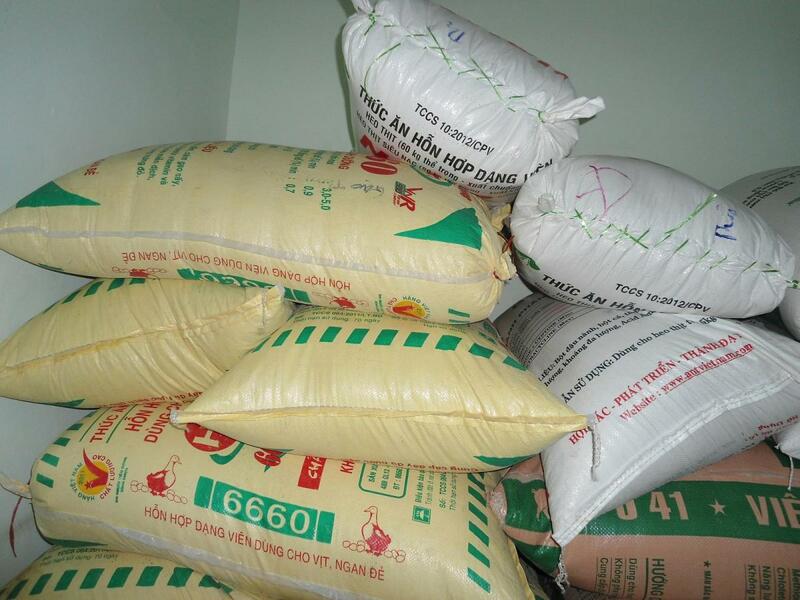 She also bought many cans of condensed milk and 500 kilos of rice. Thank you so much Son!